Pass the EA Exam the First Time! 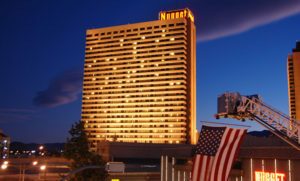 The National Society of Accountants (NSA) is offering an intensive NSA Enrolled Agent (EA) Exam Review Course & Accredited Tax Preparer (ATP) Review Course/Exam August 20-22, 2017, at the Nugget Casino Resort in Reno, NV, immediately before the NSA Annual Convention and Expo at that same location. Designed to give tax professionals the best opportunity to pass the EA exam on the first try, the 3-day course provides in-depth review of all the key components of the exam. Enrolled Agents are authorized to represent taxpayers before the IRS and tax professionals who hold the EA credential can command higher fees. They must pass a three-part IRS exam covering individual and business tax returns, adhere to ethical standards, and complete 72 hours of continuing education courses every three years. NSA’s Enrolled Agent Exam Review Course is a comprehensive and intensive—and we mean intensive—review geared toward a single purpose: to help you master tax basics and pass the EA exam. Detailed study notes will be provided for each topic, including figures and charts that prove the old adage that “…a picture is worth a thousand words.” Hundreds of past exam questions from the open-exam era and many more potential questions on newer topics are incorporated and each is reviewed in class so the real exam itself will look like an old friend. Study tips, tricks and shortcuts are a staple of this course. 18 (6 per part) detailed study lessons and review questions to help you master each section of the materials. Proven exam taking tips, tricks and strategy guides with tips for passing each part of the exam. Top 150 questions per part—essential questions on topics that you will absolutely need to master. Interactive online review and practice questions with explanations and analysis. Final Review Cards super summaries for each part of the exam—the perfect last-minute memory-jogger to review immediately before the exam. Weekly study guides with detailed assignments and time allocations. Comprehensive study aids that summarize the tax law related to a particular subject. These aids should prove valuable in last-minute reviews prior to the exam. Access to an online EA study community to post your questions and comments, respond to other commenters, and interact with the presenters. Added Bonus! Get access to even more sample questions and study tips. A complete sample EA exam to help you gauge your progress prior to taking the exam. The Accredited Tax Preparer (ATP) designation, offered by the Accreditation Council for Accountancy and Taxation (ACAT), is also a leading national credential for tax practitioners who have a thorough knowledge of the existing tax code and the preparation of individual tax returns with an expertise in comprehensive 1040 issues including supporting schedules, self-employed returns, and ethics. Earning the ATP credential exempts practitioners from taking and passing the Annual Federal Tax Refresher course and exam each year, which are a component of the Internal Revenue Service (IRS) Annual Filing Season Program (AFSP). 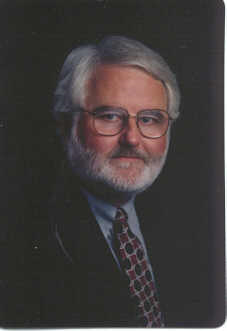 William A Duncan CPA, Ph.D., is an Associate Professor of Accounting at Arizona State University. Dr. Duncan was formerly a Director with Ernst & Young where he guided tax education for the firm. He is the author or co-author of three textbooks and has published a number of articles on a variety of tax topics in publications ranging from Taxes and The CPA Journal to the Journal of the American Taxation Association. 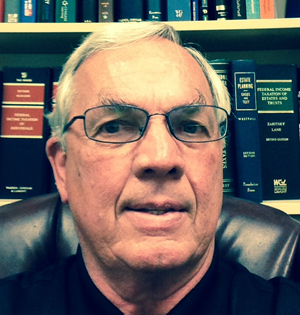 He has taught in the AICPA National Tax Education program for over 20 years. Requests for refunds must be received in writing and will be subject to a $75 cancellation fee. For more information regarding refund, complaint and/or program cancellation policies, please contact our offices at (800) 966-6679. The fee for the ATP exam is $100. For more information and to register, visit http://www.nsacct.org/eacourse or contact NSA at 800-966-6679 or members@nsacct.org. Learn more about NSA at www.nsacct.org. Complimentary wifi included. The hotel offers a free airport shuttle departing from the hotel every hour, on the hour from 5:00 a.m. to 11:00 p.m. The airport shuttle picks up at the airport every hour on the half hour from 5:30 a.m. to 11:30 p.m. outside door D of the baggage claim area.